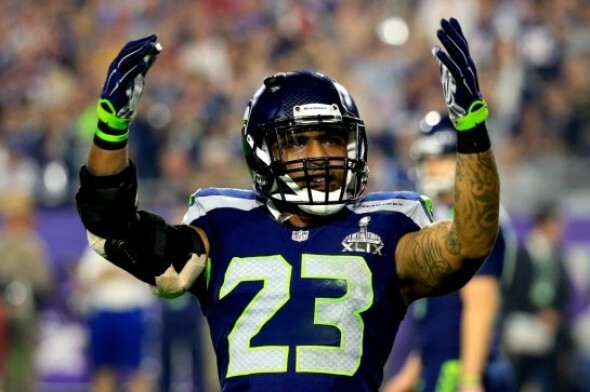 Earl Thomas was placed on IR, and the Seahawks made two other moves Tuesday, bringing back FS Jeron Johnson and signing FB Marcel Reece, a former Washington Husky. The Seahawks Tuesday placed S Earl Thomas on injured reserve (out for the season), brought back S Jeron Johnson to provide secondary depth, signed FB Marcel Reece, and made room for the former University of Washington receiver by waiving RB George Farmer. Thomas was declared out Monday by coach Pete Carroll after the five-time Pro Bowl safety broke the tibia in his left leg in Sunday night’s game against the Carolina Panthers. Johnson, 28, played for Seattle from 2011-14, appearing in 46 games. A graduate of Boise State, Johnson signed with the Washington Redskins as a free agent in 2014, was released after that season, and most recently played with Kansas City, which cut him in August. He’s been a free agent since. The 31-year-old Reece will play fullback if the Seahawks are forced to go without Will Tukaufu, who had a concussion against the Panthers. Reece played wide receiver at Washington in 2006-07 and is in the Husky record books for having caught a 98-yard TD pass from QB Jake Locker against Arizona in 2007, the longest TD pass play in school history. Reece missed the first four games of this season for violating the NFL’s performance-enhancing drug policy. After the league lifted his suspension, the Oakland Raiders, his team for the past seven years, waived him. Reece caught 205 balls, 12 for touchdowns, in seven years as a member of the Raiders. The Seahawks are probably eyeing Reece as a third-down back. Farmer, signed by Seattle as a free agent a year ago, attended USC. Originally a wide receiver, then briefly a cornerback, he was converted to running back. After spending considerable time on Seattle’s practice squad, he moved to the 53-man roster Nov. 16. He was Seattle’s third-down back against Carolina. Seattle also has Thomas Rawls, Troymaine Pope and Alex Collins as its other tailbacks. C.J. Prosise is out indefinitely with a shoulder injury, but remains on the roster, giving Seattle six running backs, including Tukuafu. The Seahawks (8-3-1) can clinch the NFC West Sunday (1:25 p.m., FOX) if they defeat the Green Bay Packers at Lambeau Field and the Arizona Cardinals lose at Miami.